Bodrum is one of the most popular holiday destinations in Turkey. Nikki Beach Resort is located in Torba on a private peninsula surrounded by crystal clear waters and nature. 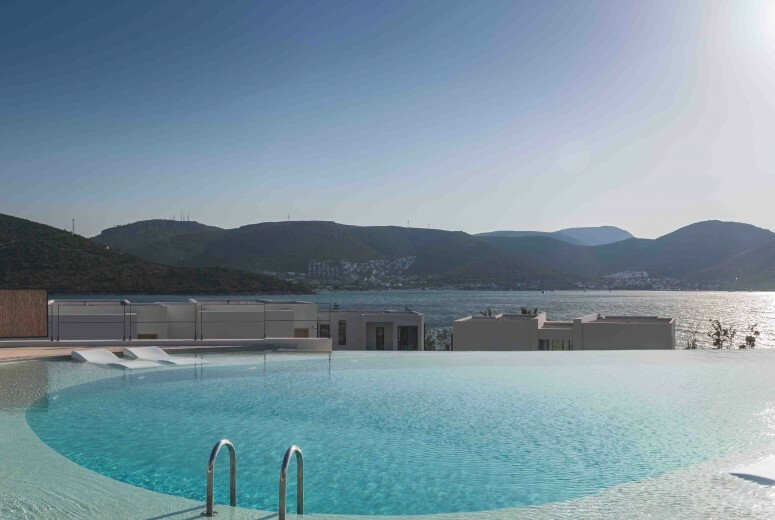 Torba is a small sea-side village covered by olive groves and pine forests. 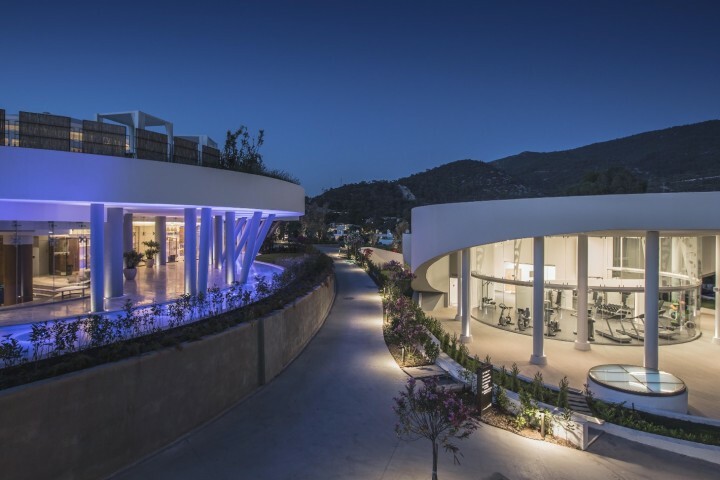 Despite its close proximity to Bodrum and growth in popularity and amenity, Torba has retained a relaxed, rural ambience. 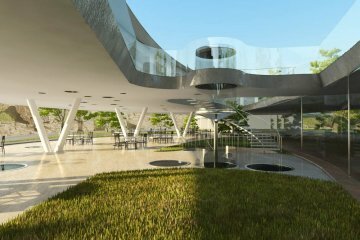 It is a unique location which can fulfill the visitor’s needs via physical comfort and mental pleasure. Despite the density of Bodrum city, the green belt surrounding Bodrum remains untouched. 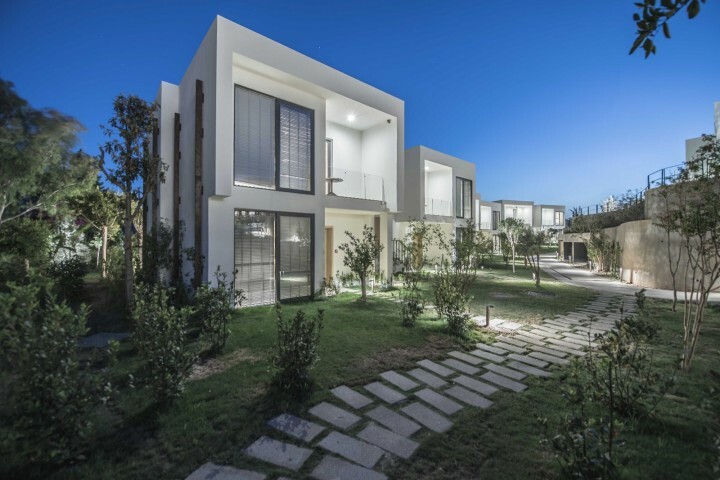 The site and surrounding area was studied in regards to the physical characteristic and sociological factors. 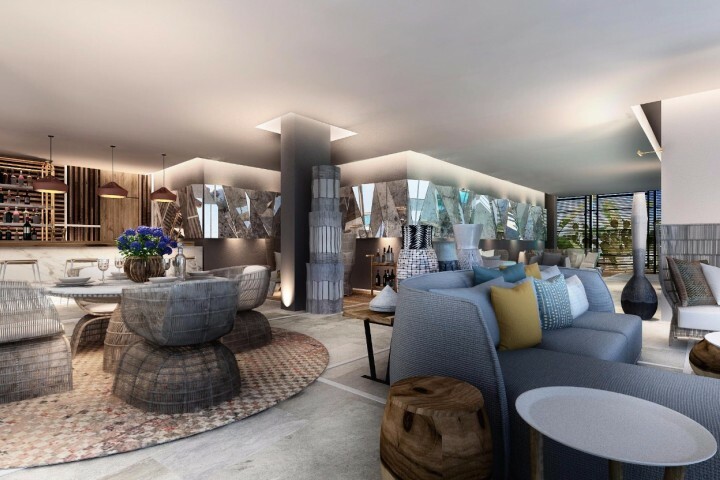 The hotel units were designed in a fragmented organization creating more flexibility than if they were integrated into the site as a monolithic mass much like the architecture of the locality. Cross ventilation is established through landscaping between the units. 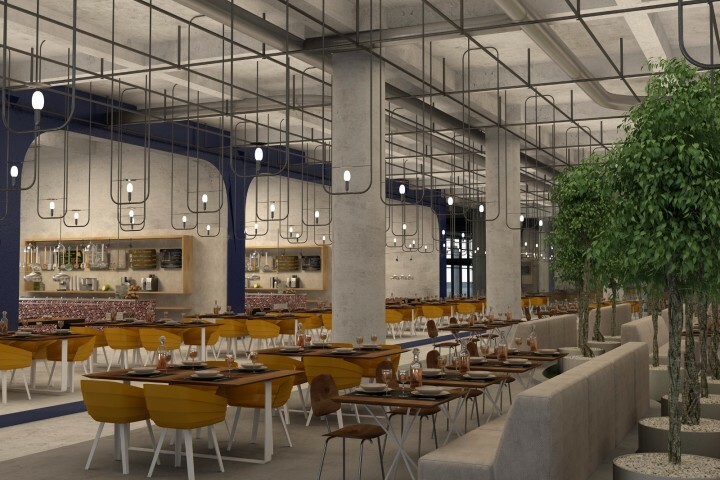 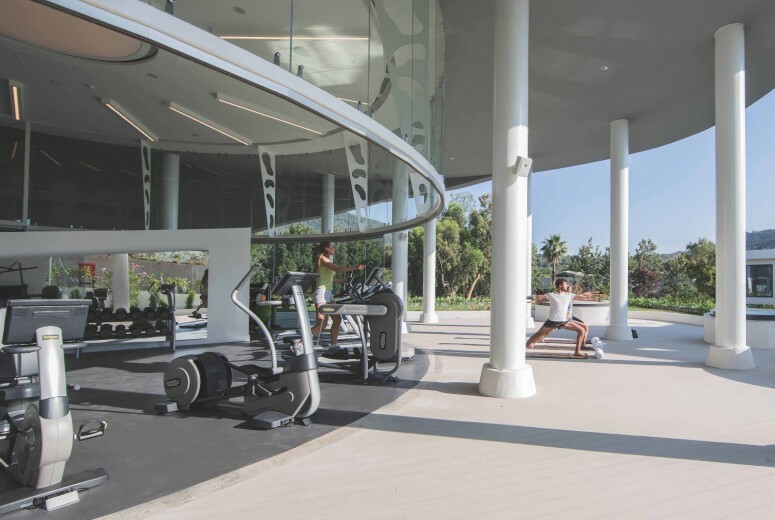 Blurring the boundaries between the interior, exterior and recreational areas is the main source of the context inspiration. 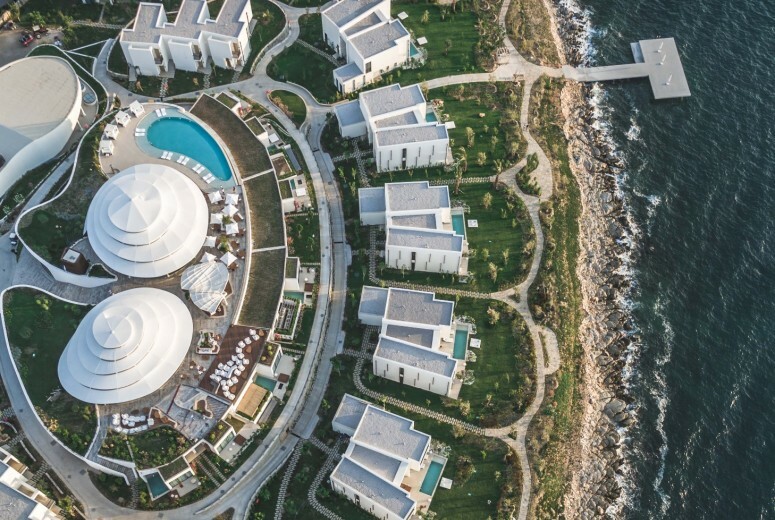 Despite this fragmentation, there is continuity in hypetated between the lines of the hotel blocks. 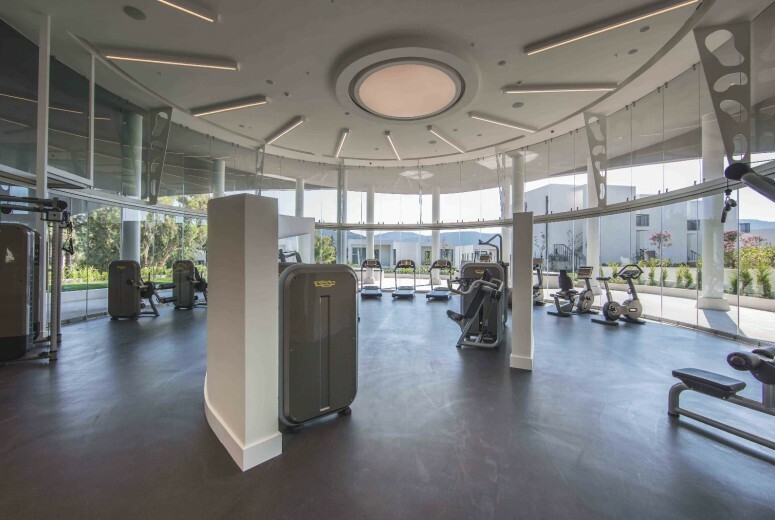 Gökhan Avcıoğlu & GAD designed the facilities based on the Mediterranean lifestyle. 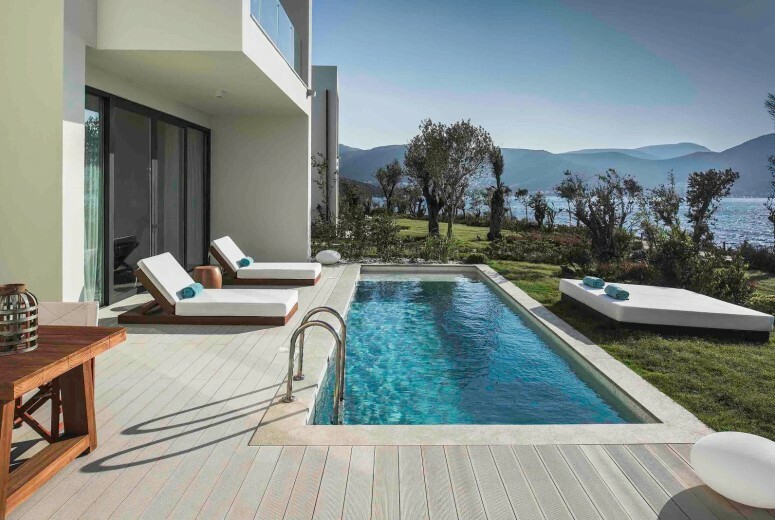 The necessity of privacy and the enjoyment of the location are perfectly balanced. The designers were inspired by the concept of a water drop a high energy center and circular rings radiating outwards. 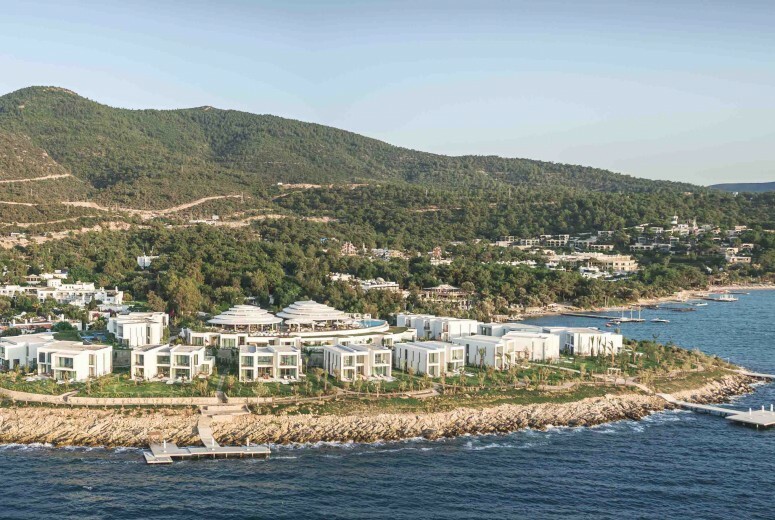 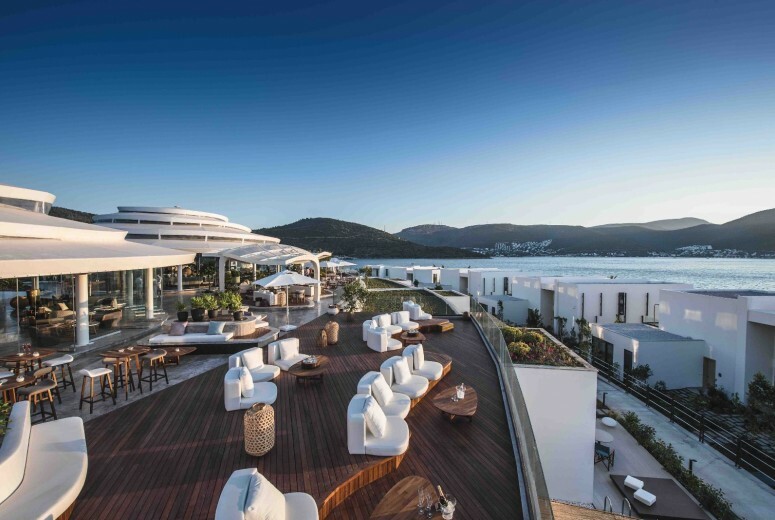 The scale of the resort is very much in keeping with the historical context of Bodrum. 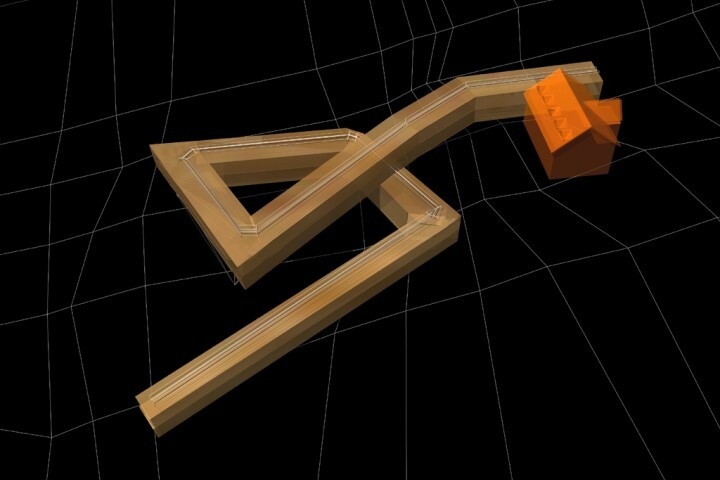 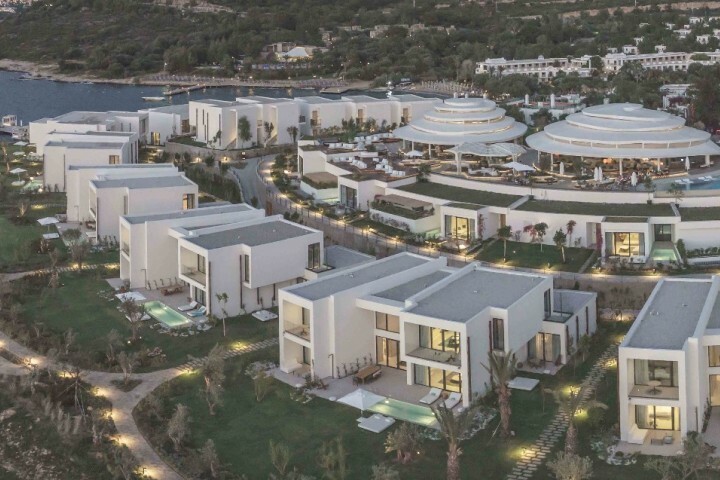 The buildings are a maximum of 2 levels, and are finished in the recognizable white color specific to the region. 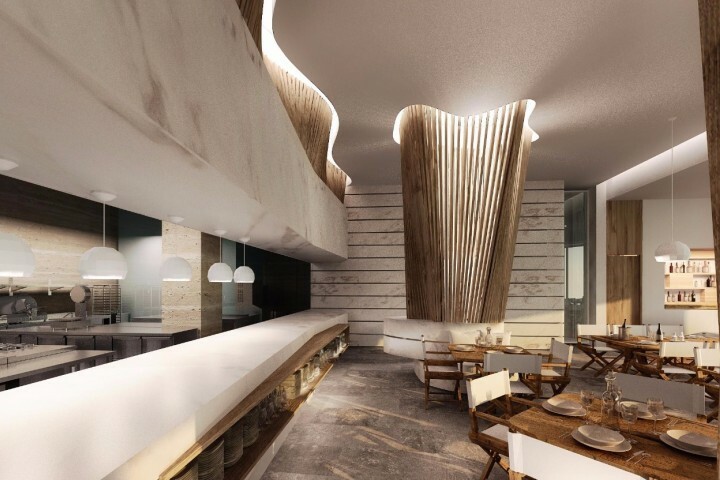 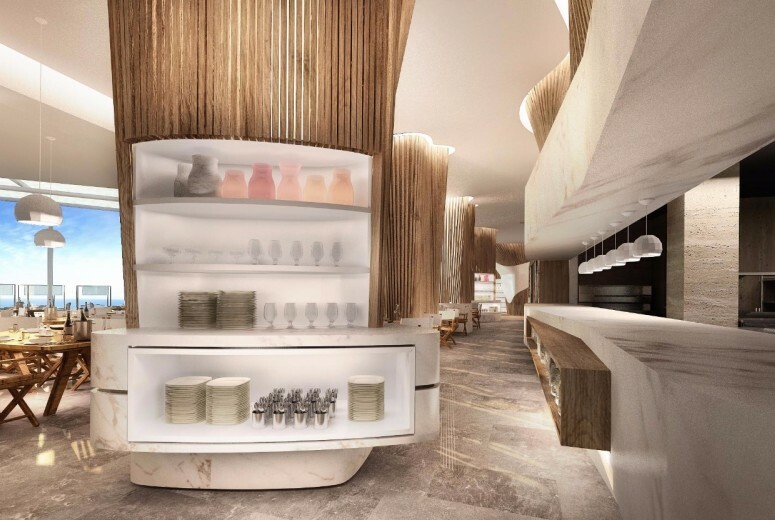 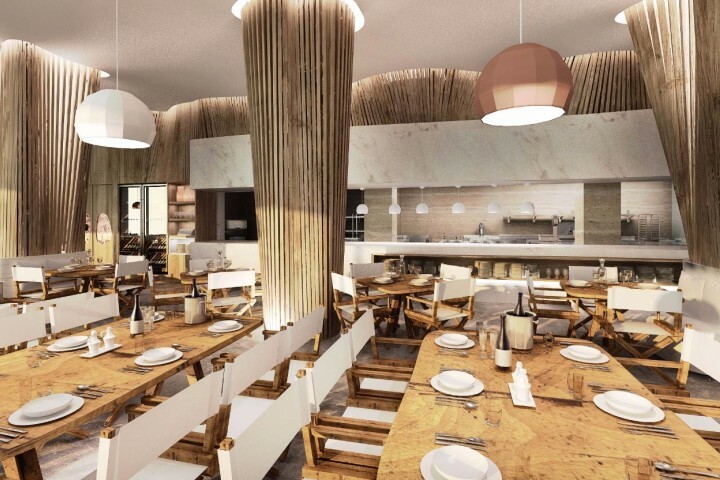 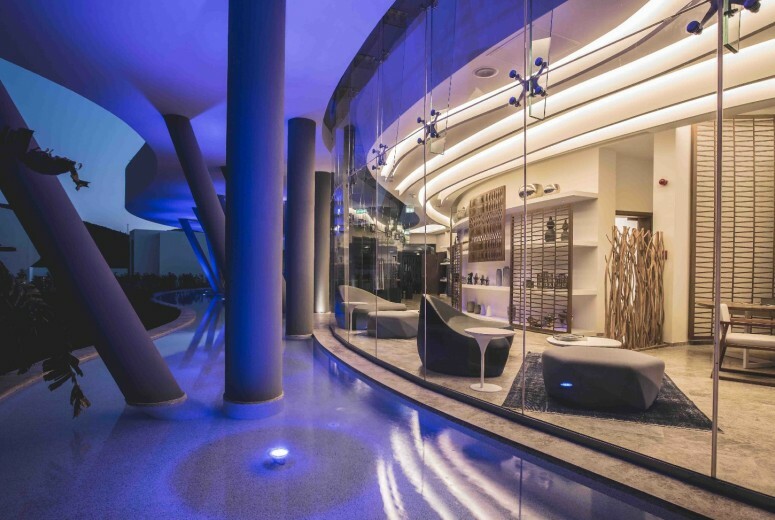 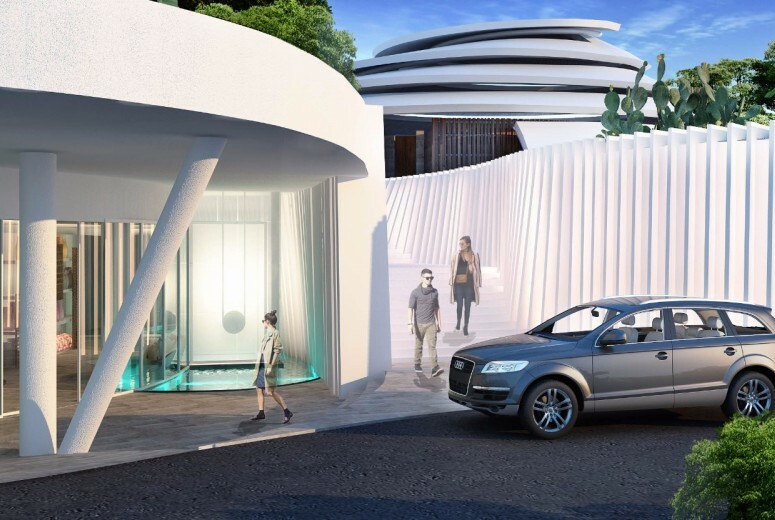 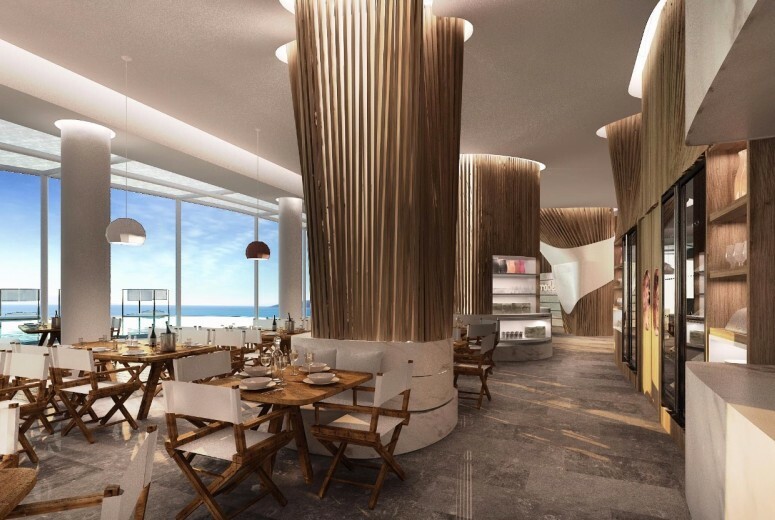 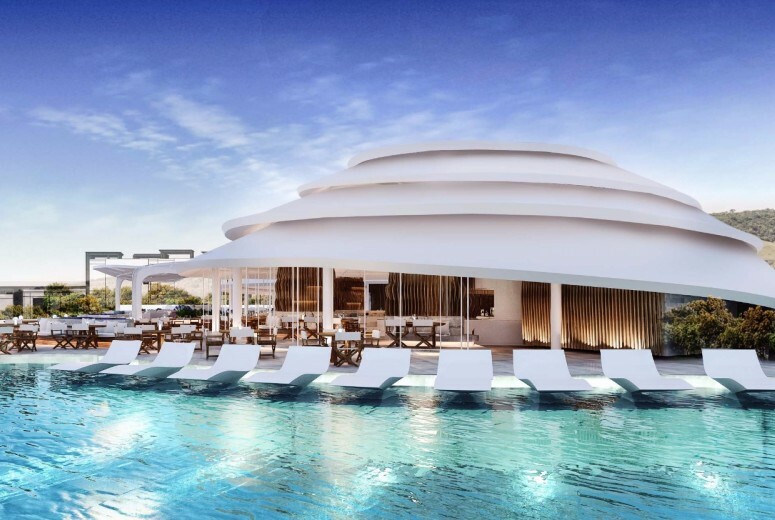 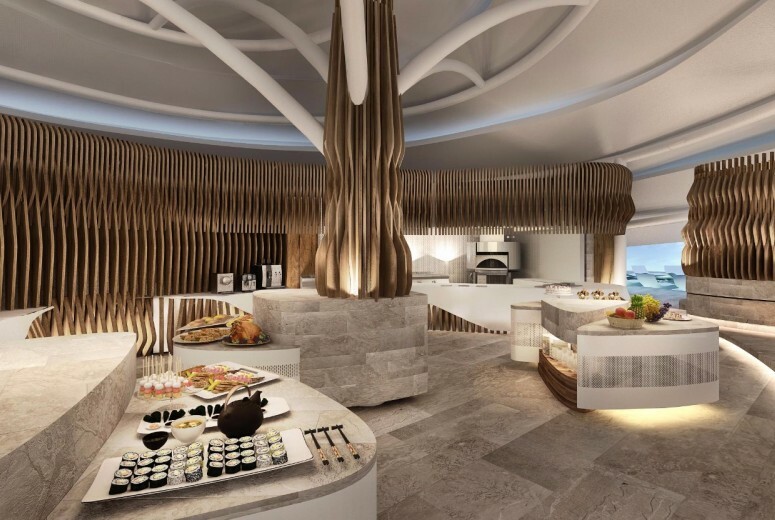 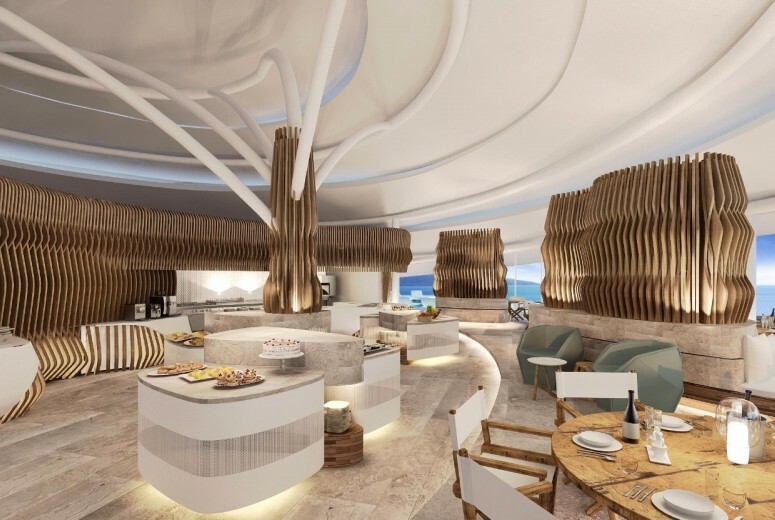 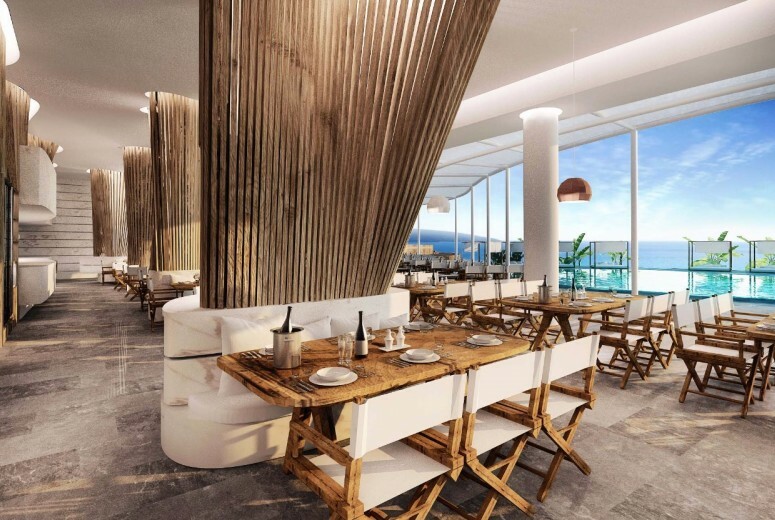 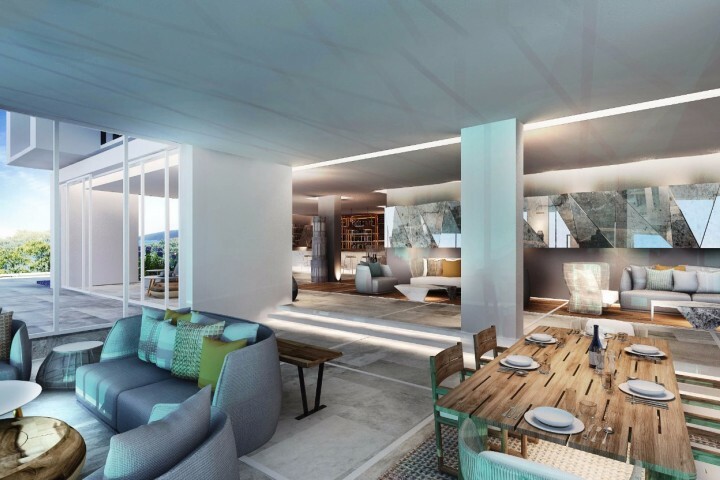 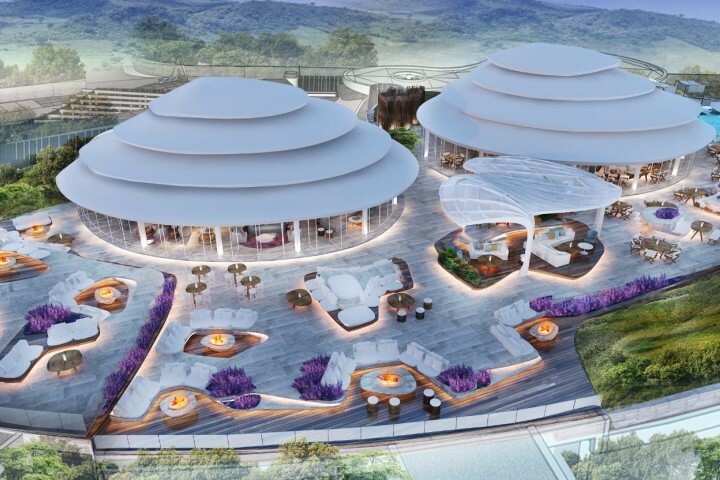 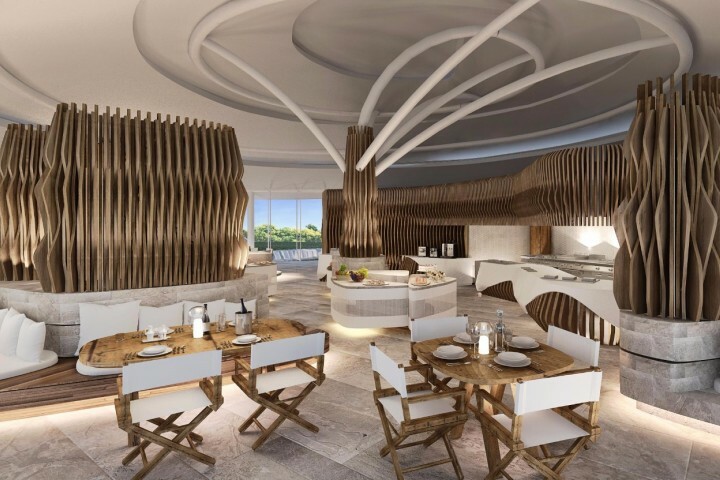 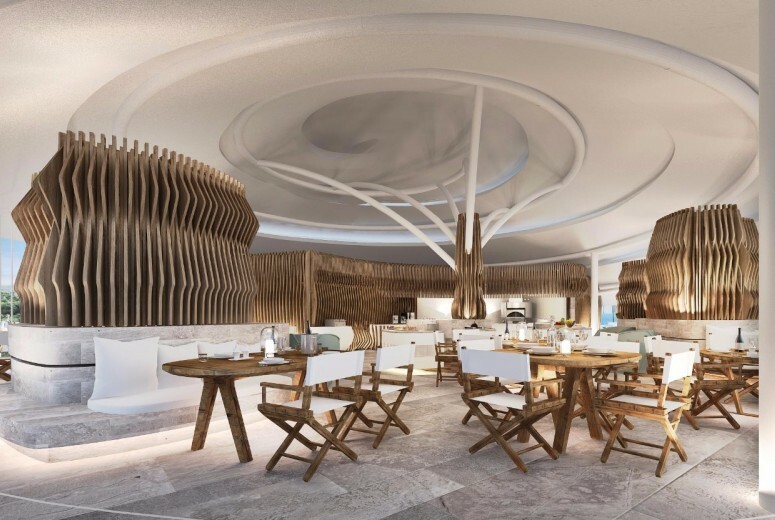 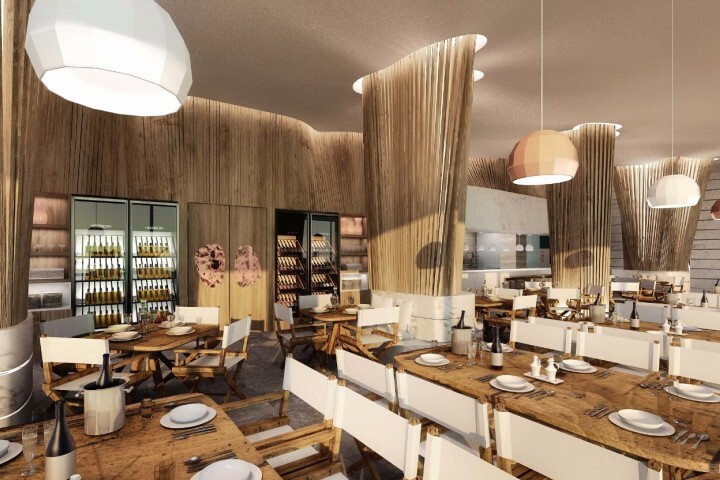 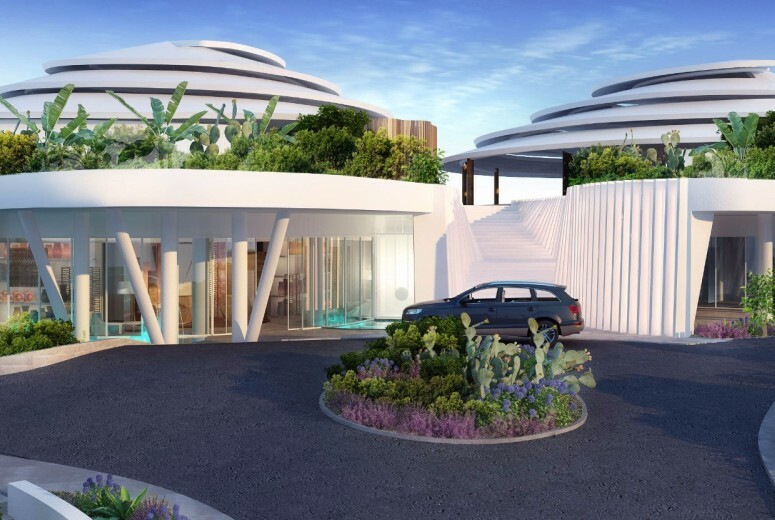 Sleek and contemporary architectural forms are a key attribute, announcing the high level of luxury of the resort. Timber screens are also introduced to offer both climatic respite, and to create a unique visual feature. 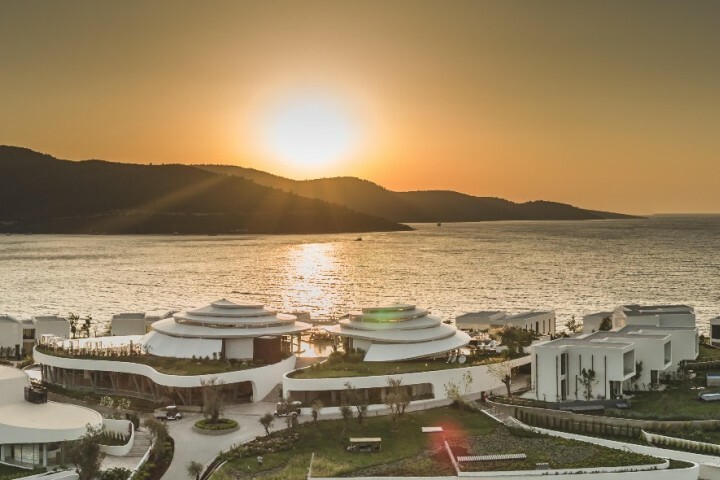 A series of buildings built on tiers cascade down to the waterfront. 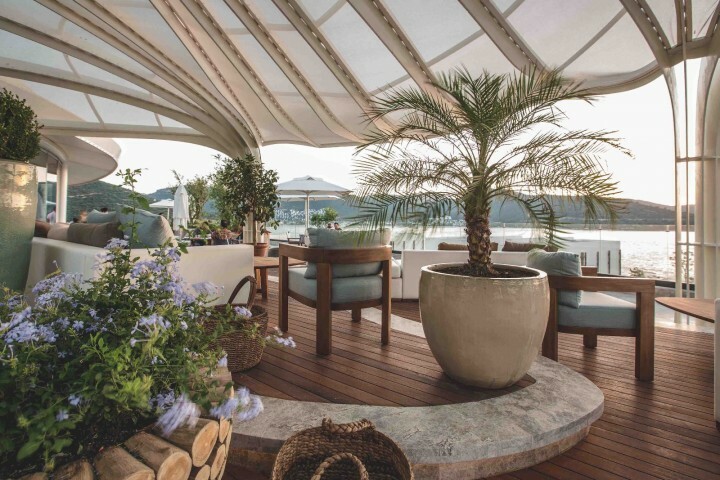 In between the terraces, lush gardens with a variety of plants and trees can be found. The programmatic requirements create a cell like structure with a nucleus at the center. 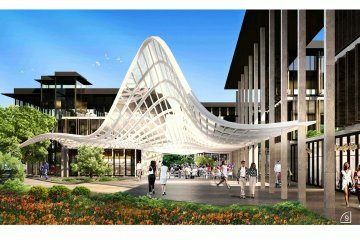 The qualities in the Forum and Agora are also incorporated into the design where several programs are integrated together to provide a network of public and private areas. 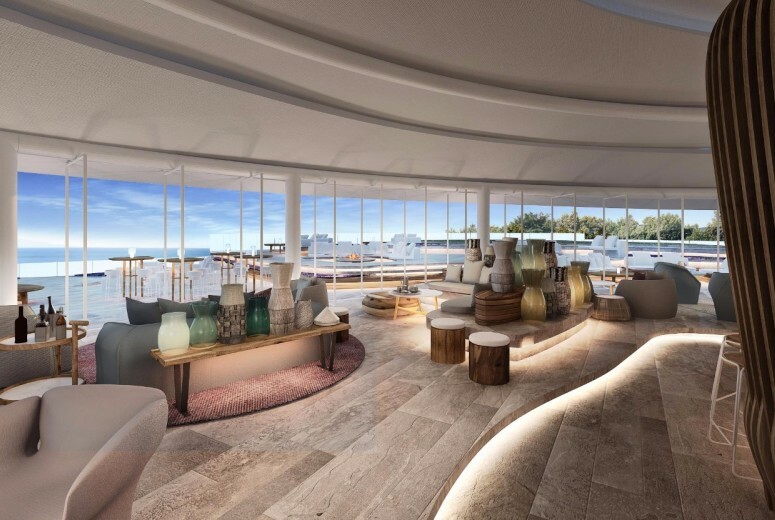 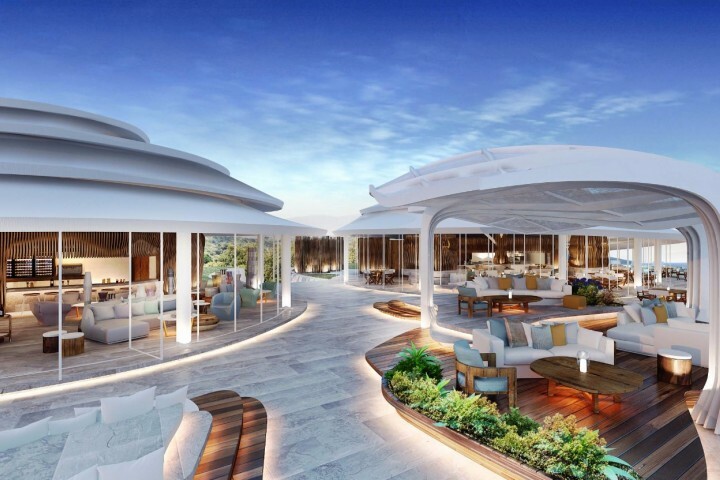 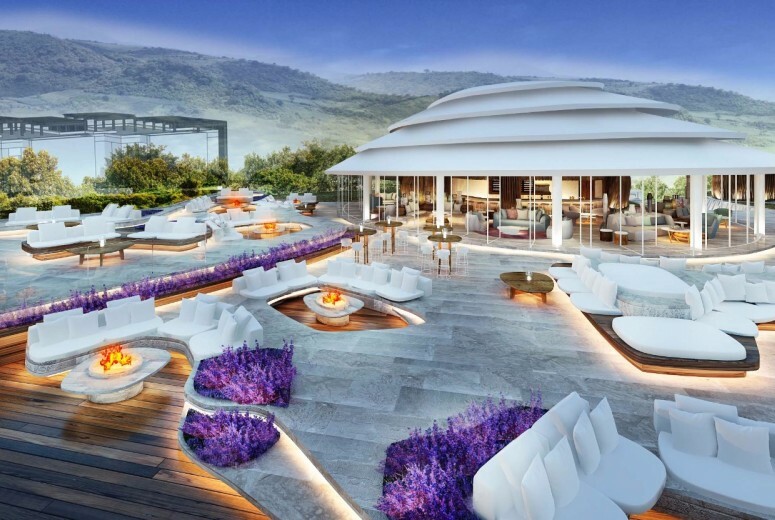 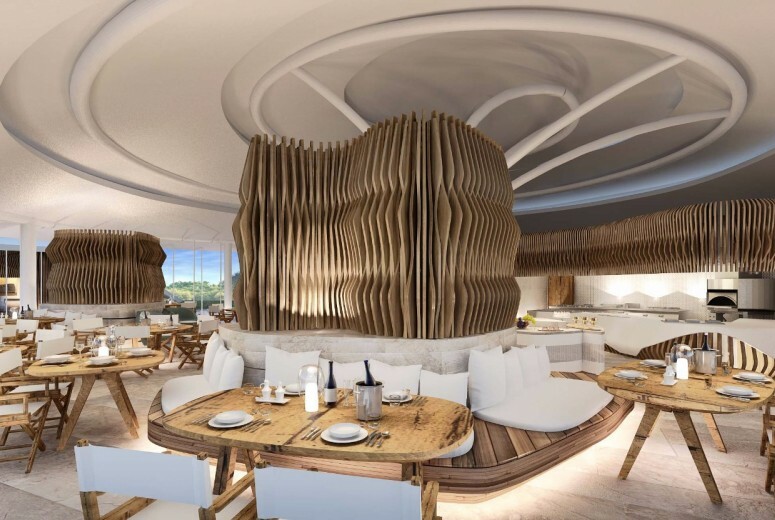 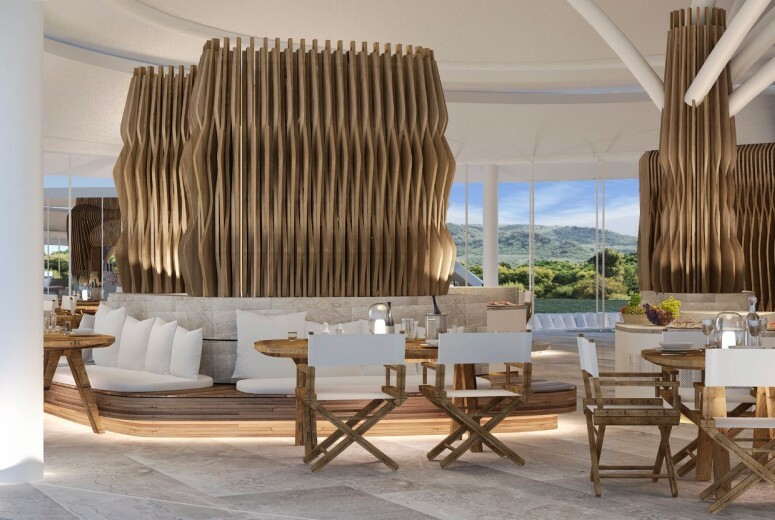 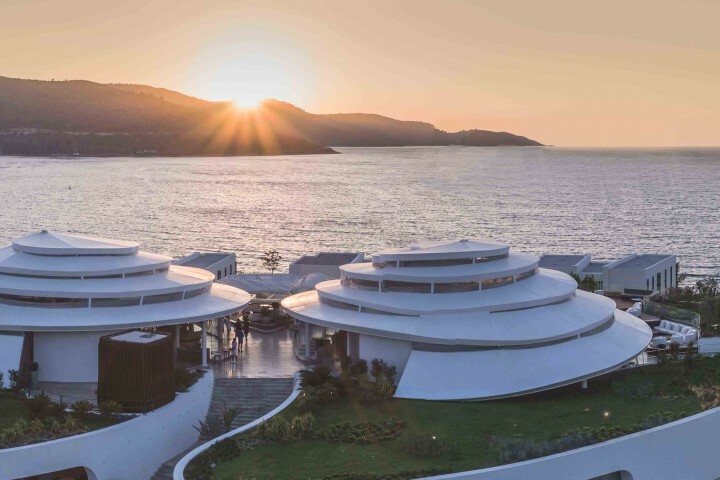 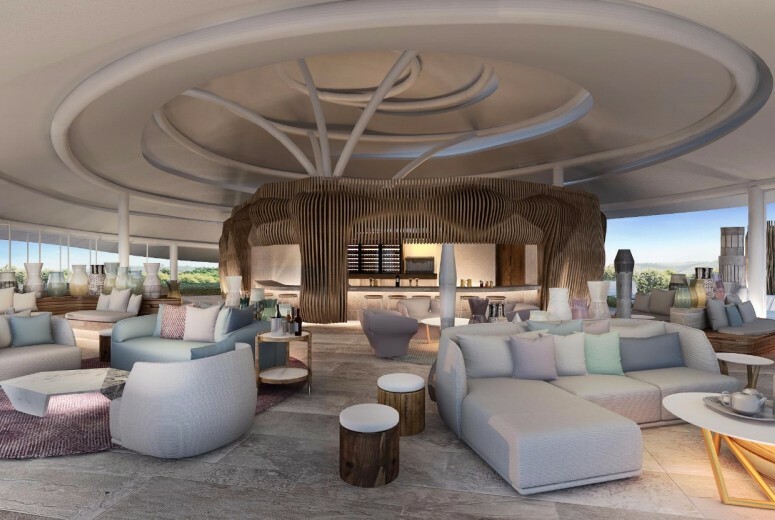 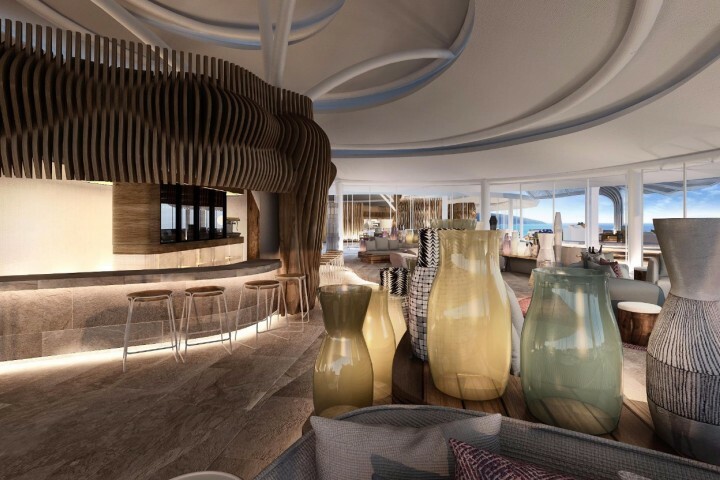 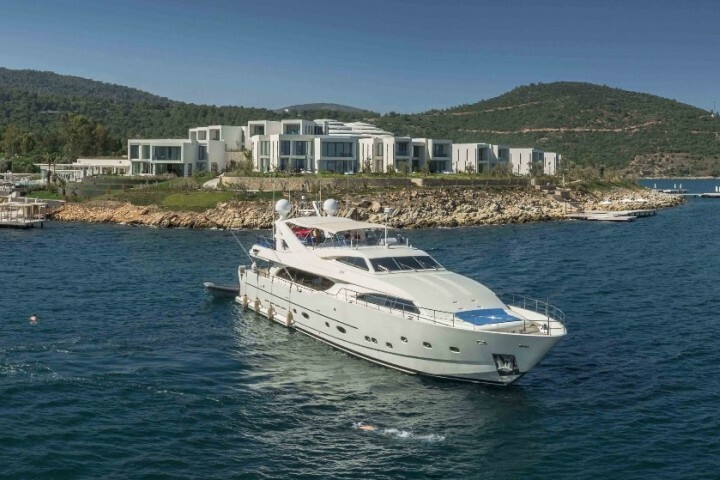 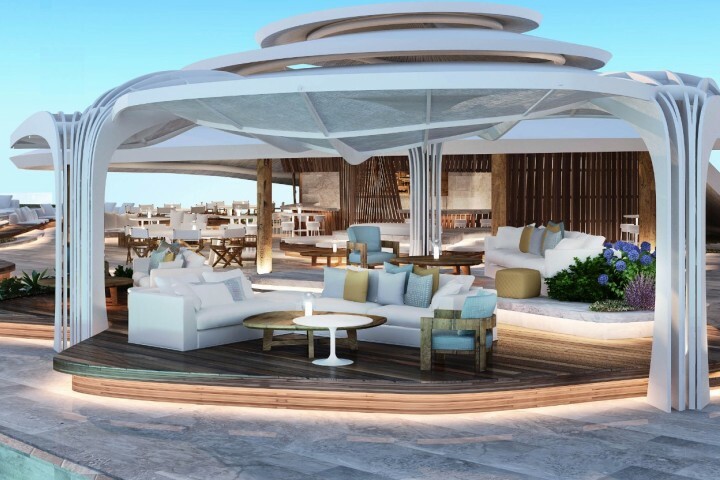 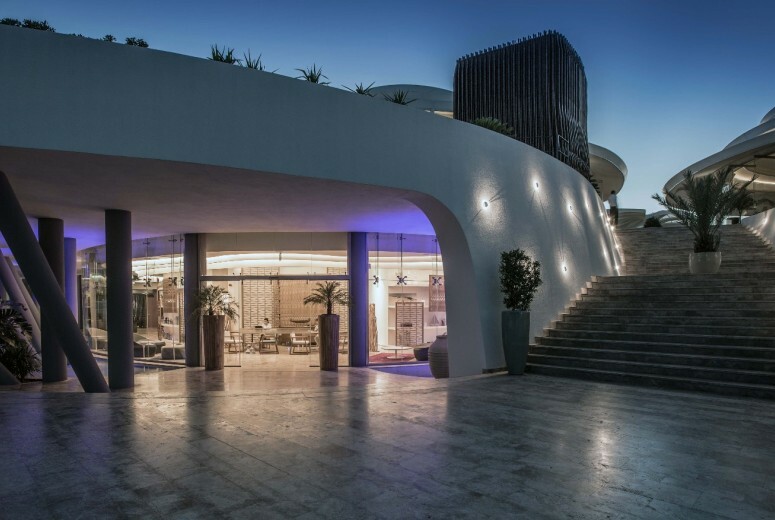 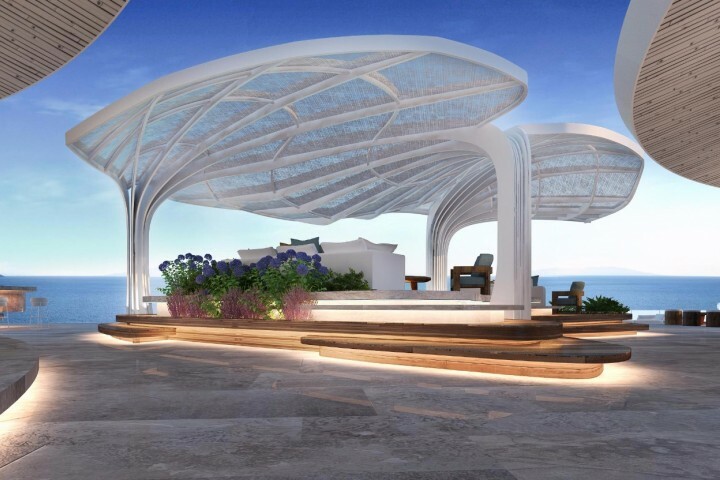 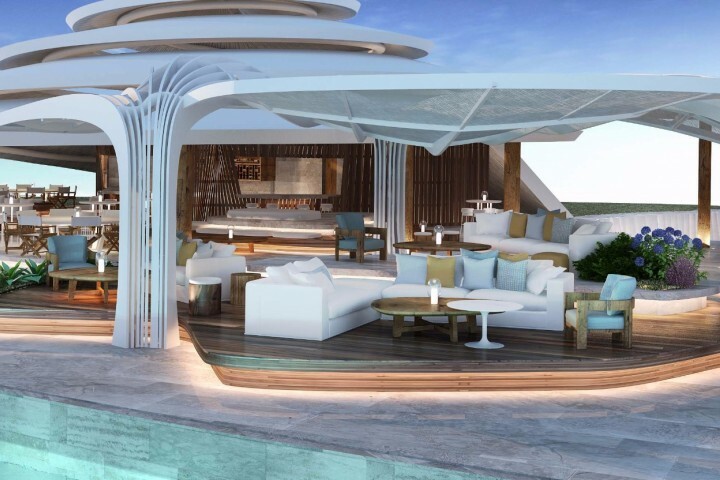 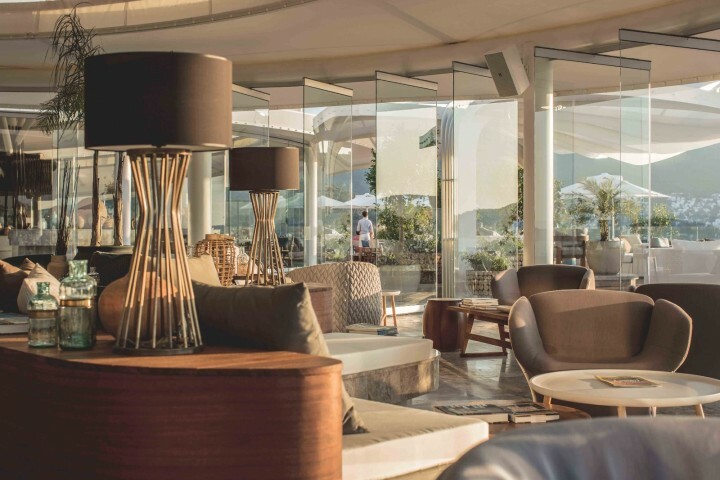 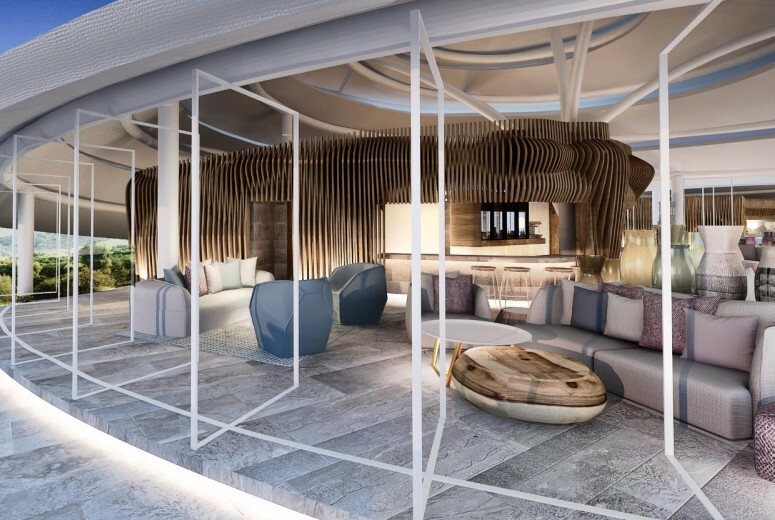 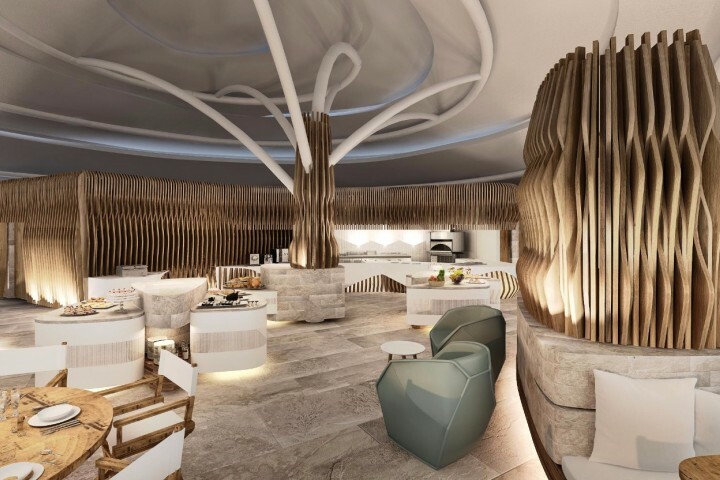 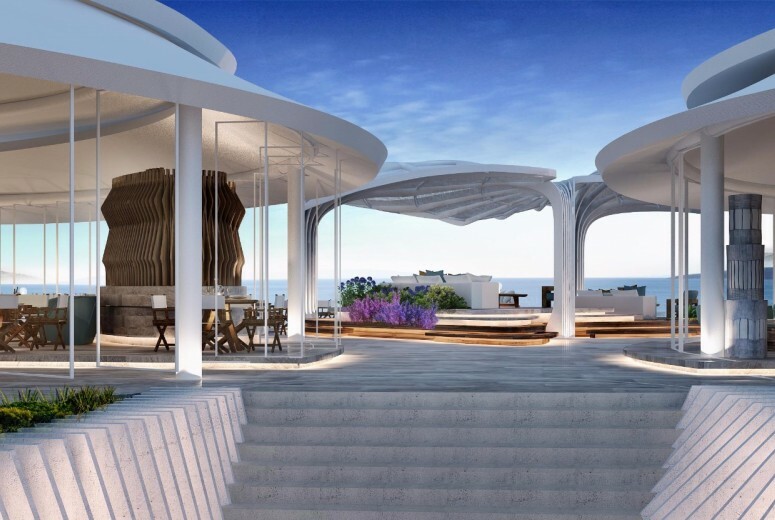 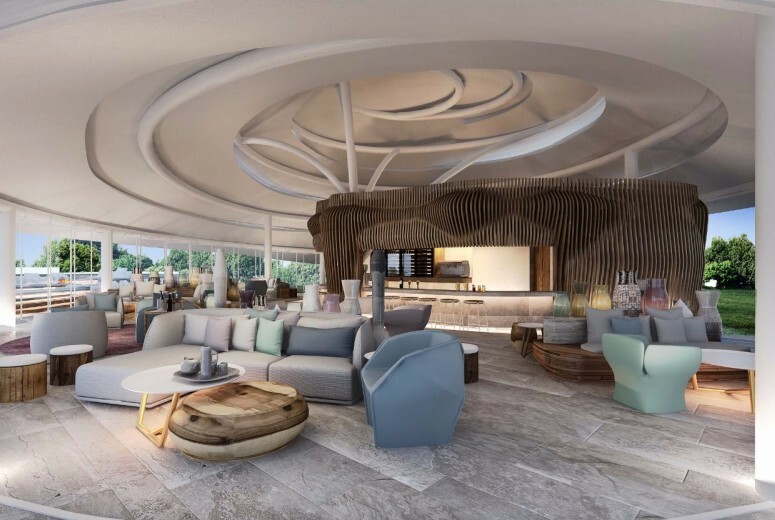 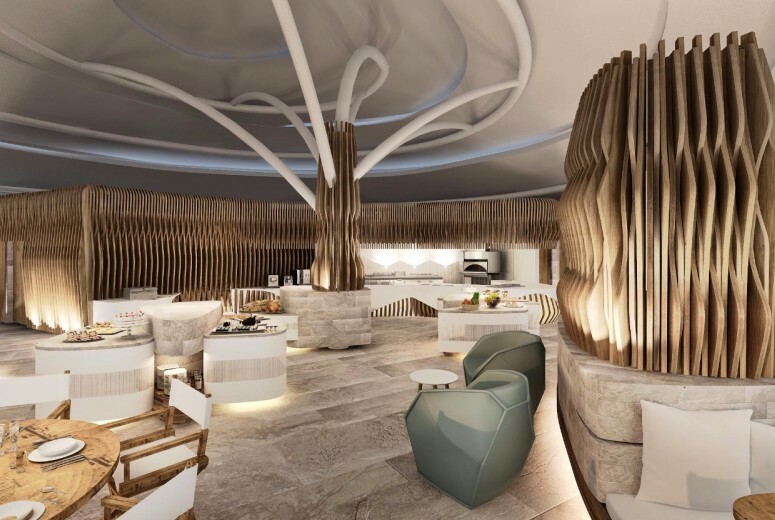 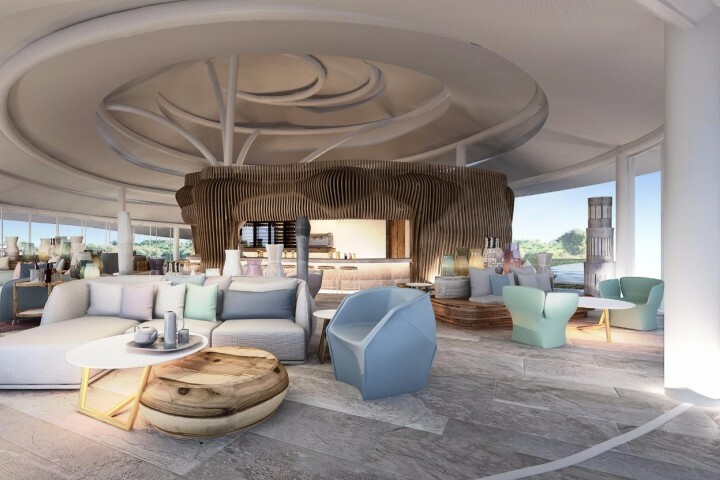 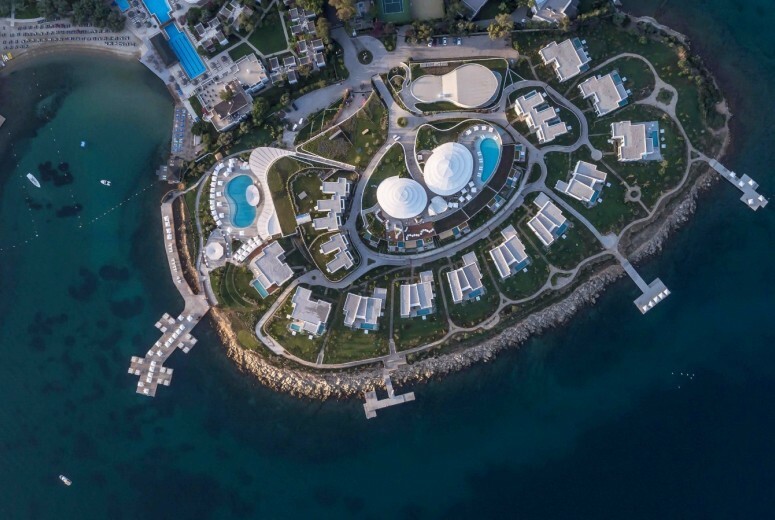 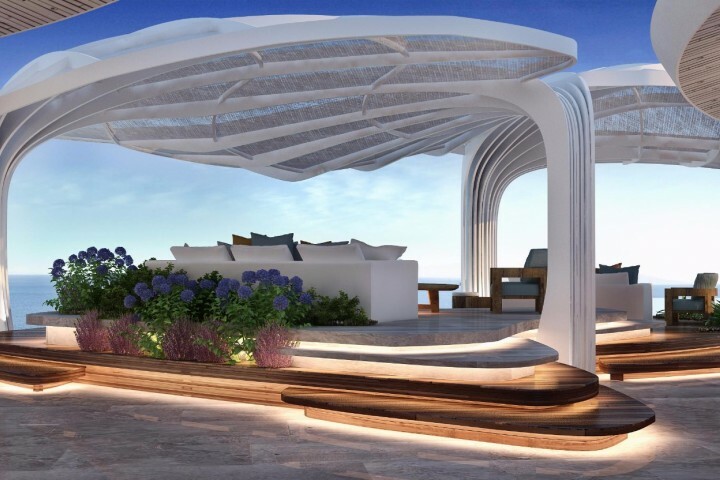 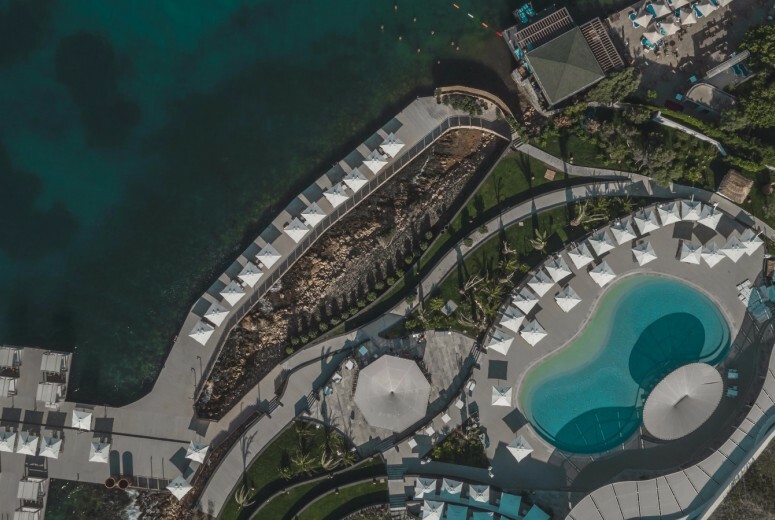 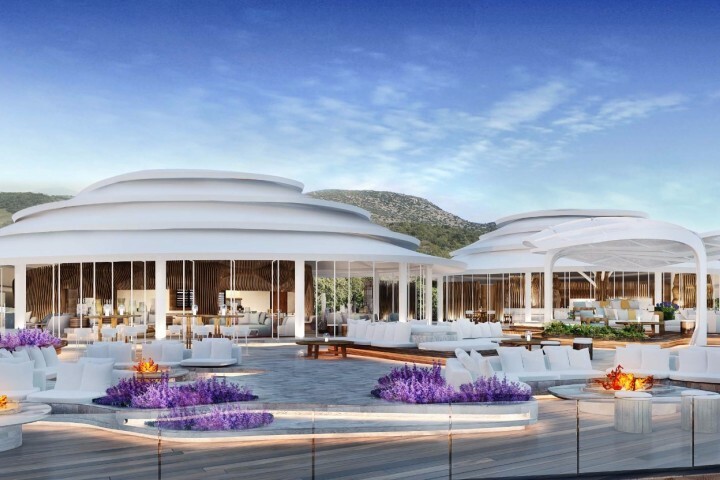 Among the hotel's remarkable facilities, the guests will have access to a rare sandy beach, a truly unique feature in a part of Bodrum that is rocky, an exclusive deck that provides dinghy services to accommodate yachters. 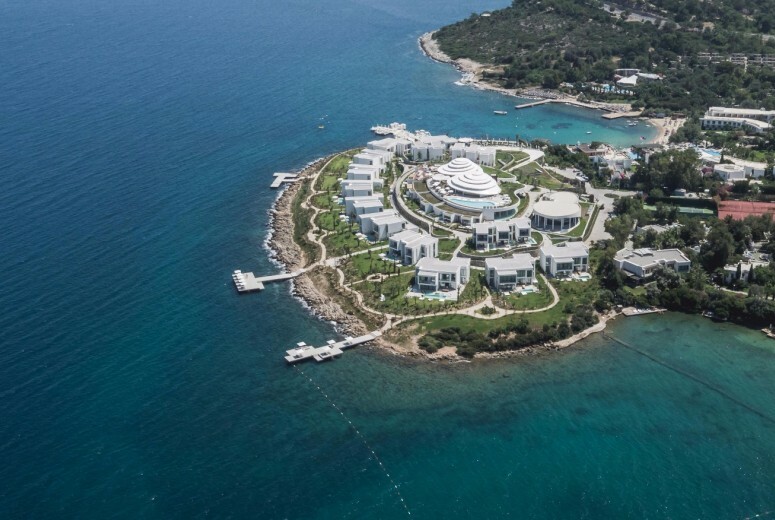 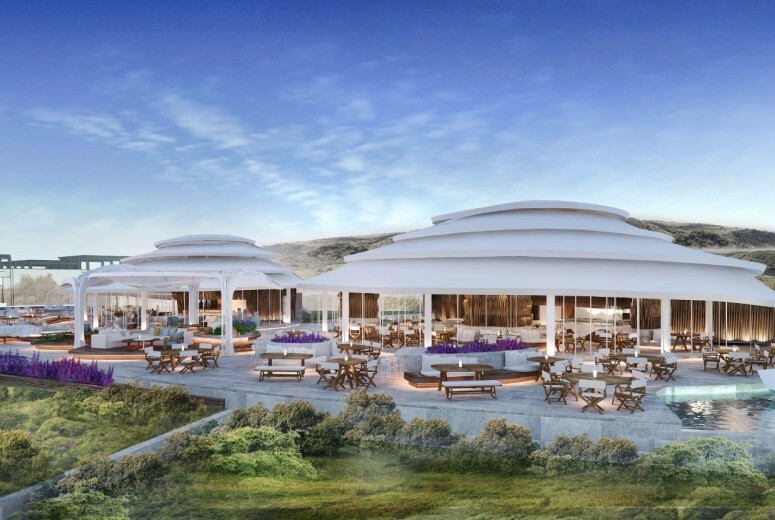 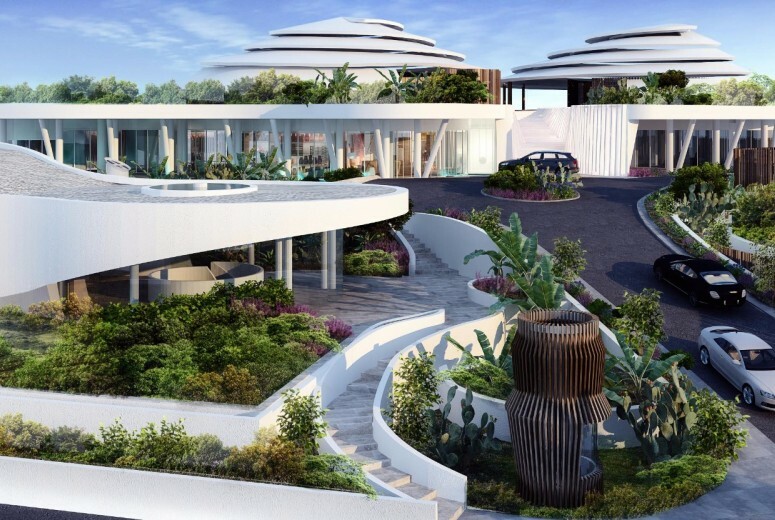 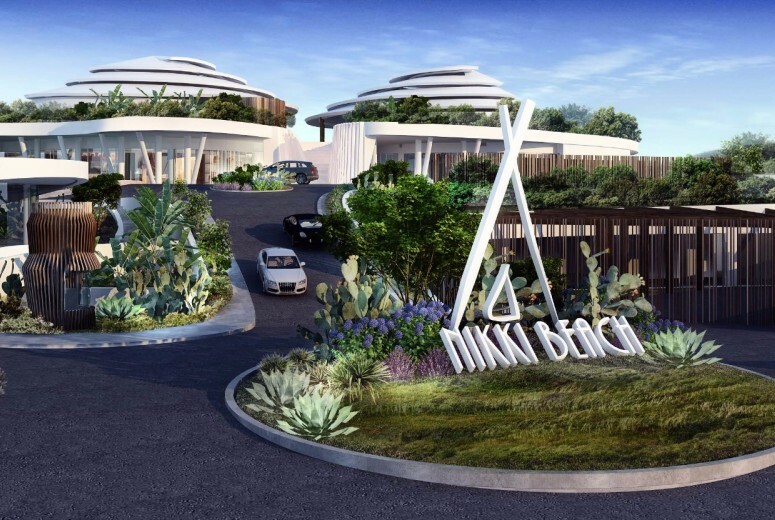 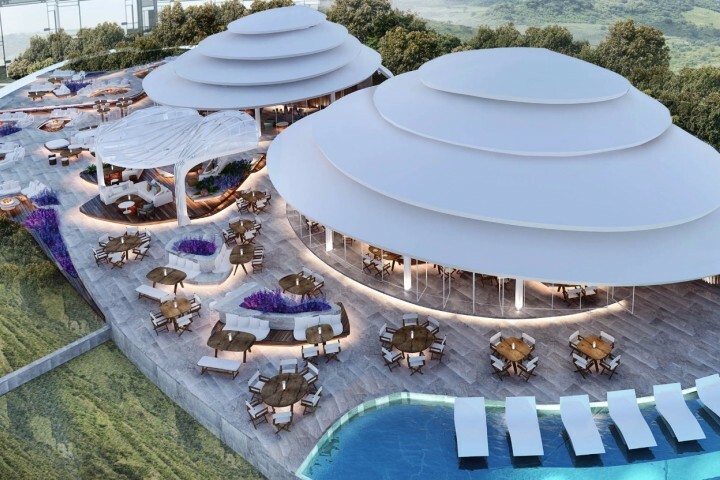 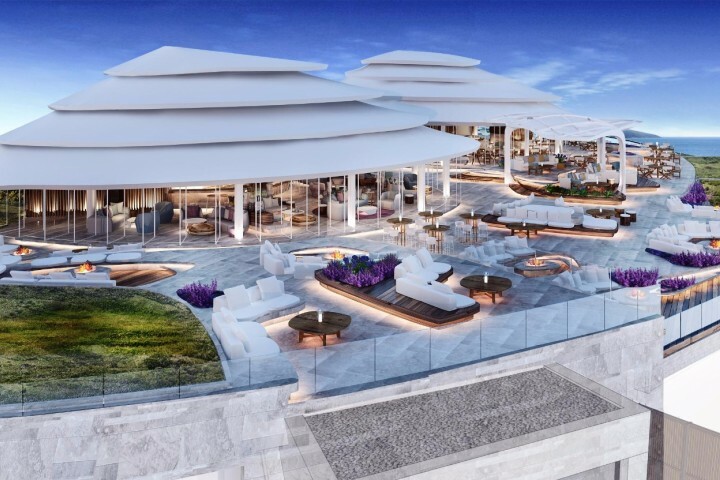 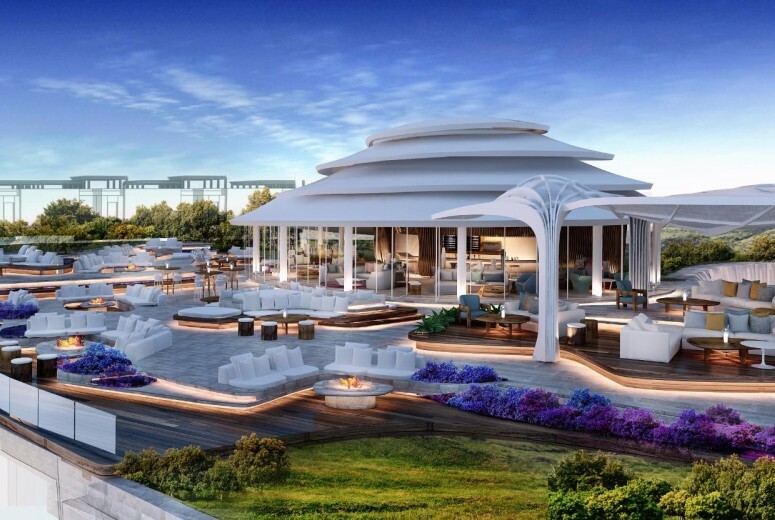 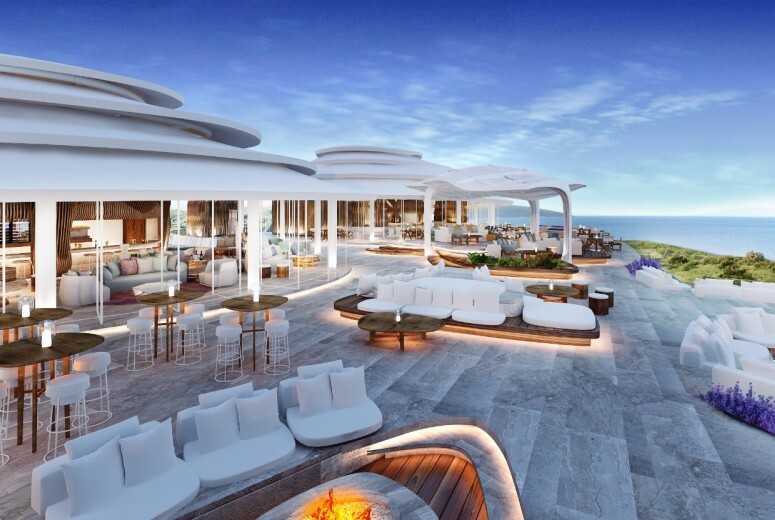 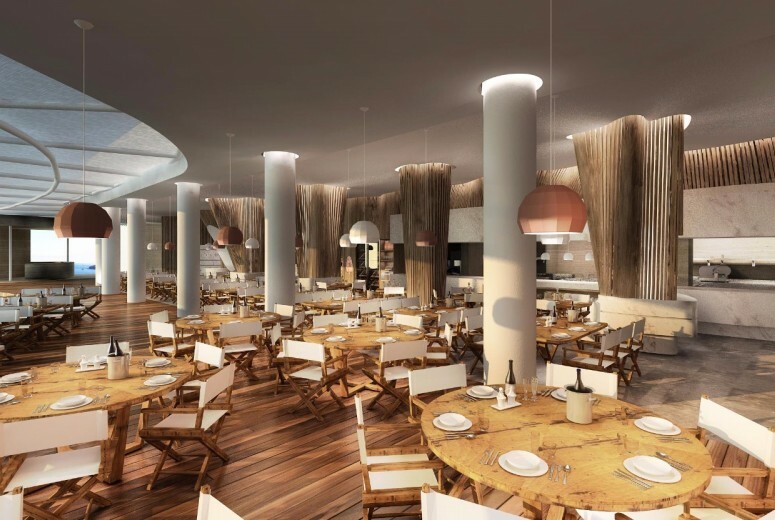 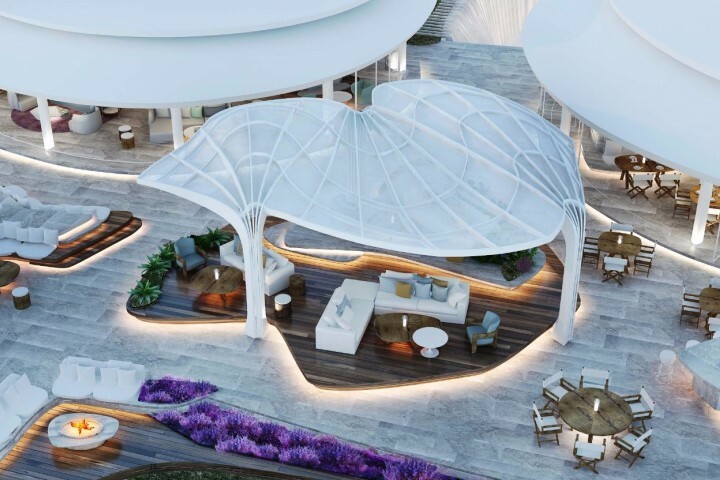 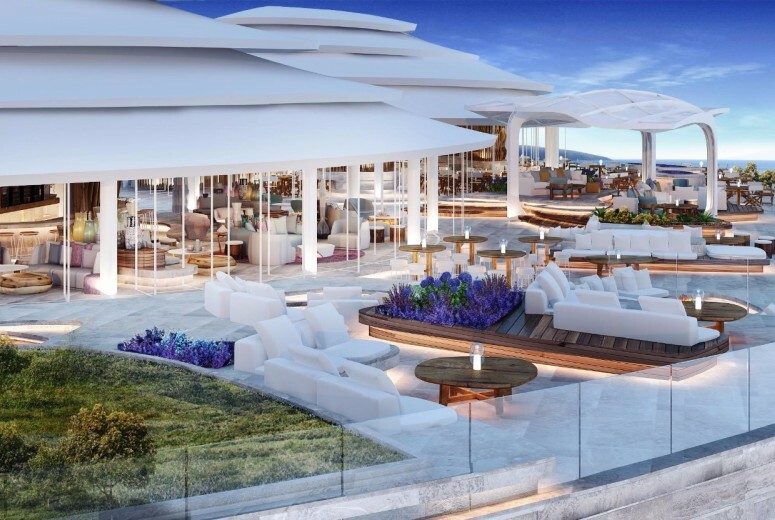 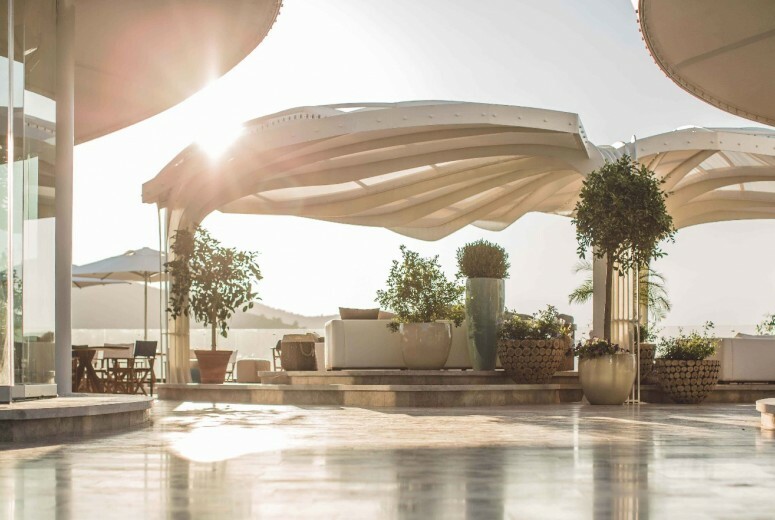 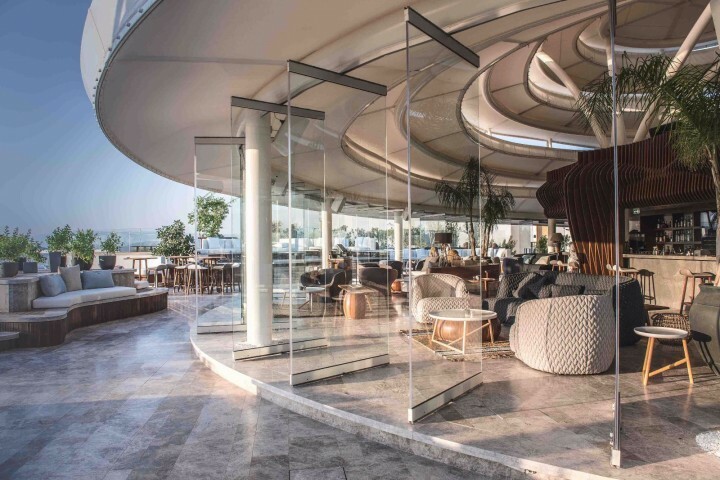 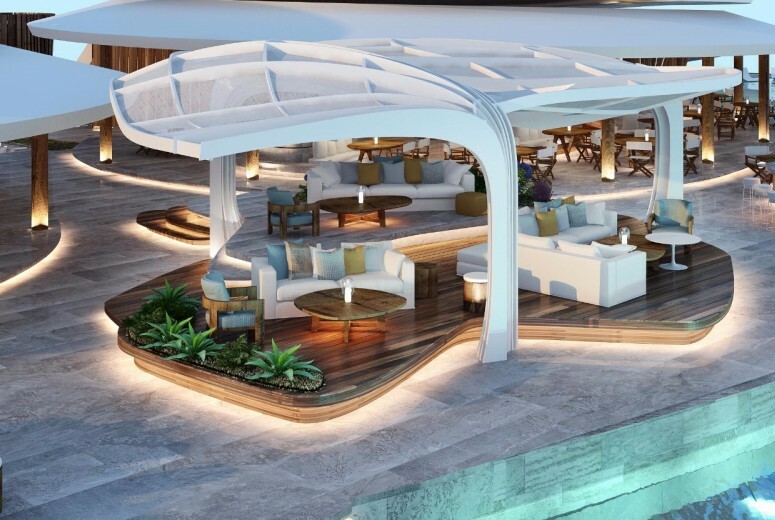 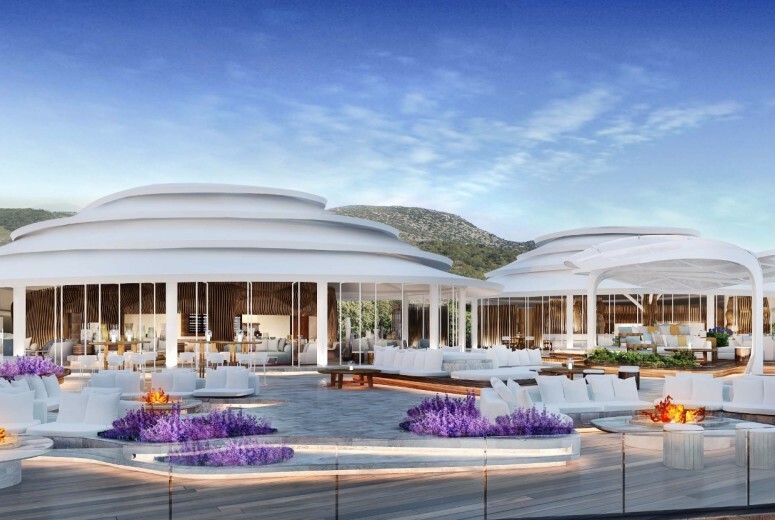 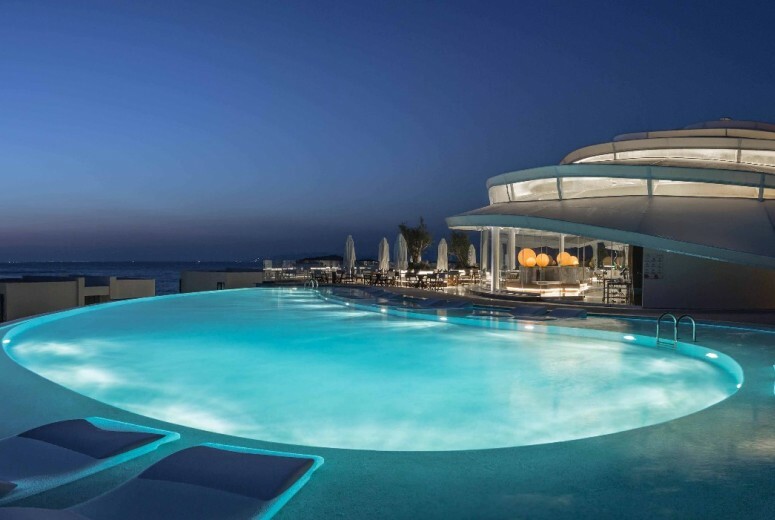 In line with all Nikki Beach properties around the world, the Beach Club at Nikki Beach Resorts & Spa Bodrum encompasses high energy and unique entertainment that the brand is known for and where guests will be able to enjoy a day at the beach in true Nikki Beach style. 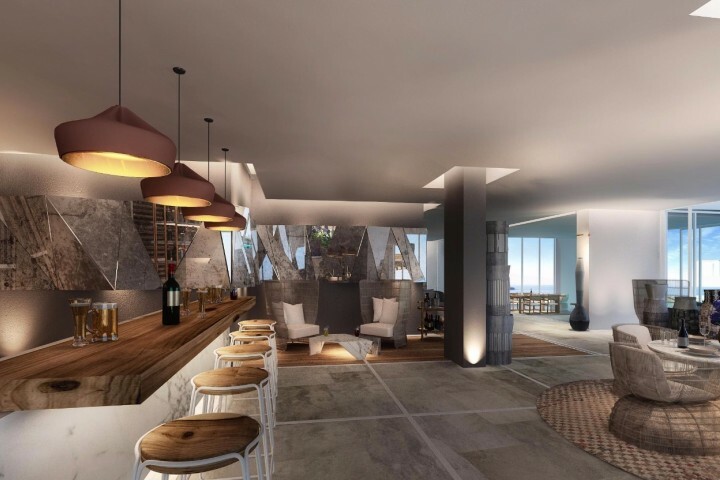 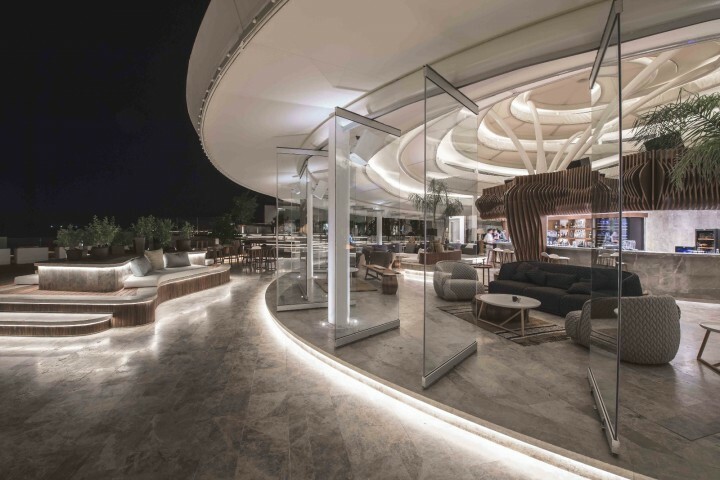 Nikki Prive, an ultra-VIP lounge prolongs this one of a kind experience by night and set a new benchmark for Bodrum's vibrant nightlife scene. 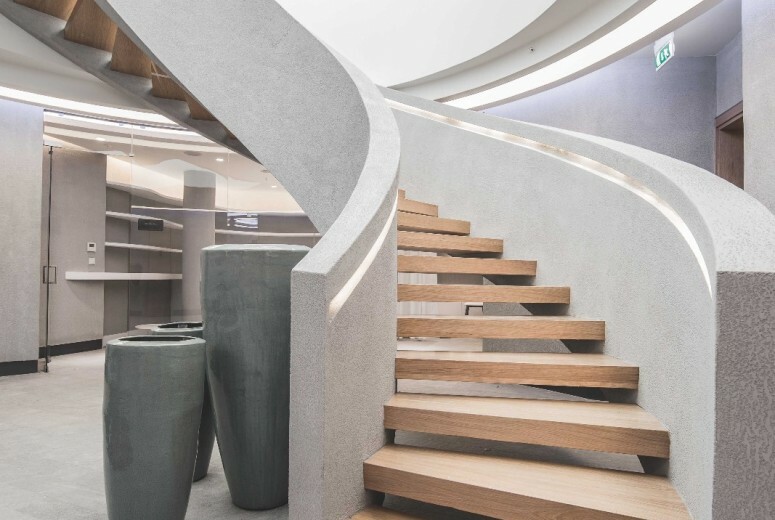 Locally quarried natural stone, sustainably sourced timber and water are the main materials within the interior design scheme. These materials not only offer a timeless quality, but, since they are sourced locally, they pour in thousands of years of history of Bodrum. 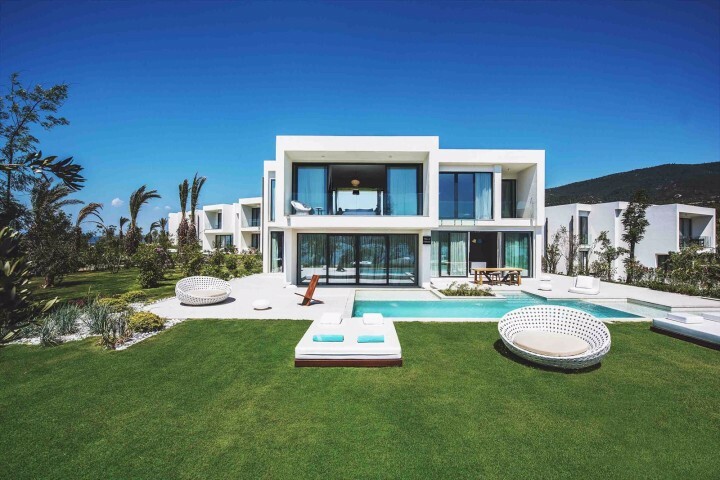 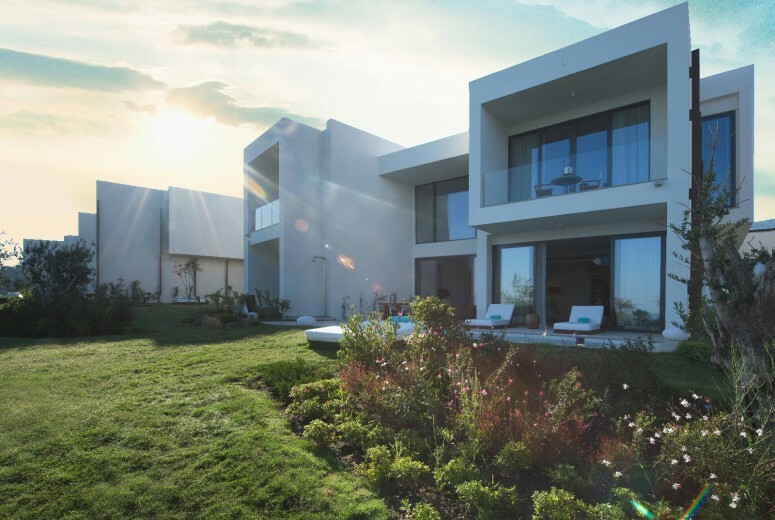 Each villa maximizes sea views whilst respecting and utilizing the existing site topography. 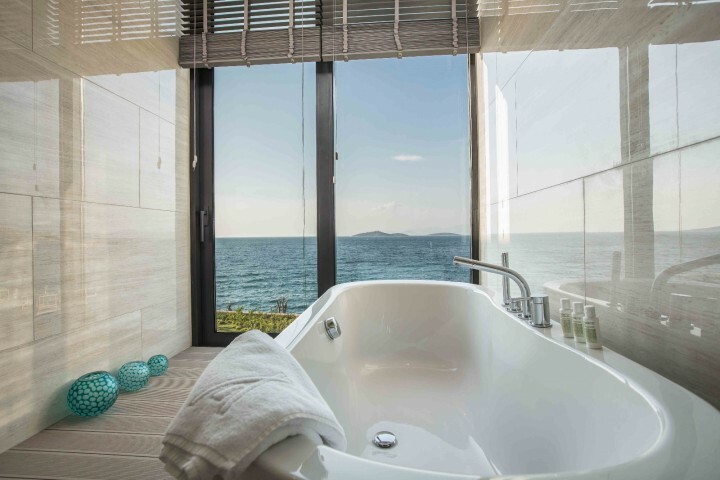 They are designed to allow a range of guest configurations, from a group of friends, a family, or the individual guest, whilst retaining perfect privacy and separation. 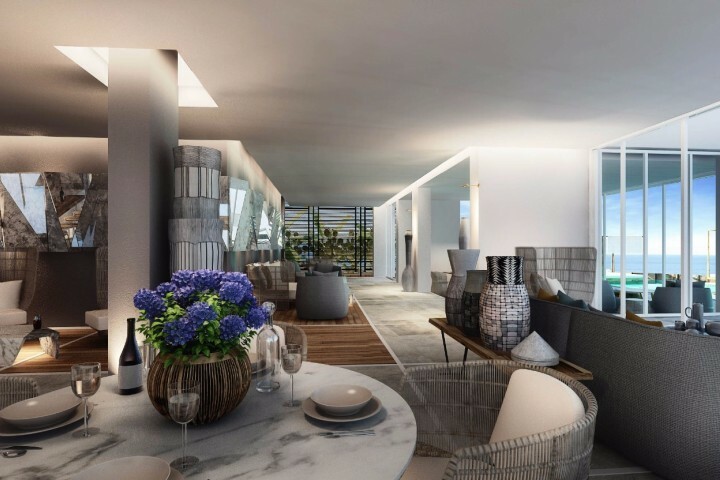 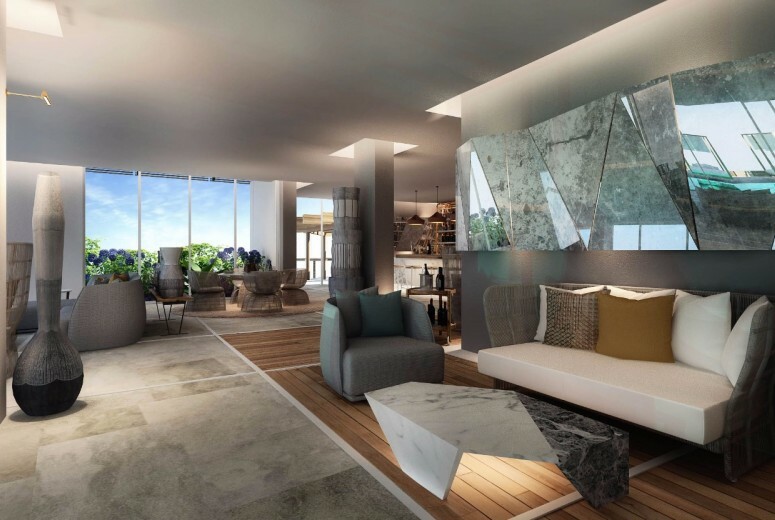 Each ground floor room contains a plunge pool, private terrace and garden that the users can relish.